A great light cake to feel good about eating. This is a fresh take on a previous winter version of this recipe. Serve with sliced strawberries or other in-season fruit of your choice. There are a few components to build your plate and serve, but the cake itself comes together in 45 minutes and also tastes lovely on its own! 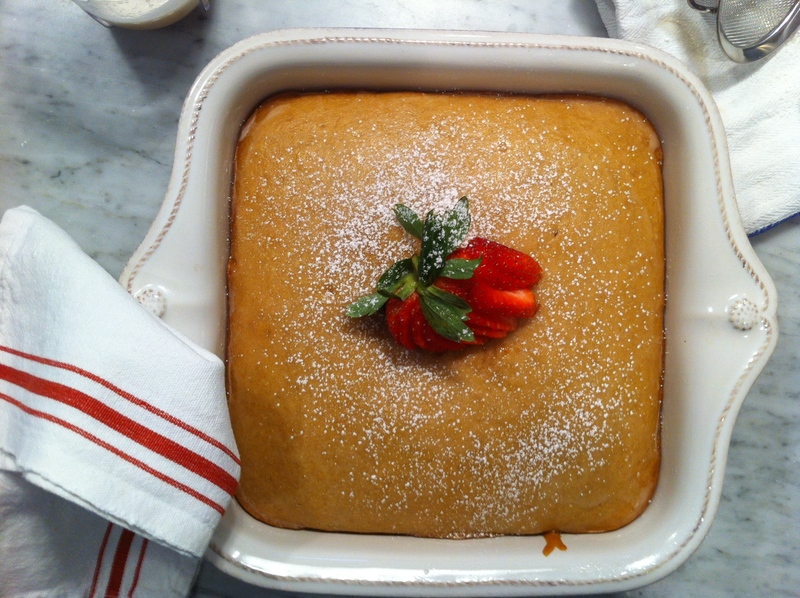 To make the olive oil cake, preheat the oven to 350 degrees F. Lightly grease an 8 or 9-inch square cake pan. In a large bowl, whisk together flour, baking soda, baking powder, and salt. In a separate bowl, whisk together oil, maple syrup, water, lemon juice and zest. Pour the wet mixture into the dry mixture and whisk until just combined. Do not over mix. Fill the prepared pan evenly with batter. Bake for about 30 minutes, or until a toothpick inserted in the cake comes out clean. Cool the cake completely on a wire rack. This can also be made ahead of time. Store in a cake dome at room temperature for up to two days. To make the syrup, whisk or blend together the sugar with the lemon juice in a bowl or personal blender. Set aside. To make the whipped cream, chill the bowl and whisk of a stand mixer in the freezer for about 30 minutes. Skim the solidified coconut cream off the top of the chilled coconut milk and transfer the solids to the bowl of a stand mixer. Add your sweetener of choice, a little at a time, whipping for a few minutes until the mixture begins to stiffen and turn into whipped cream. You may not need all of the sugar or maple syrup. Taste as you go, working quickly so everything stays cold. Chill whipped cream in a covered container in the refrigerator. It should firm up even more as it sits in the refrigerator for the next few hours or overnight, so this is also something that can be done ahead of time. 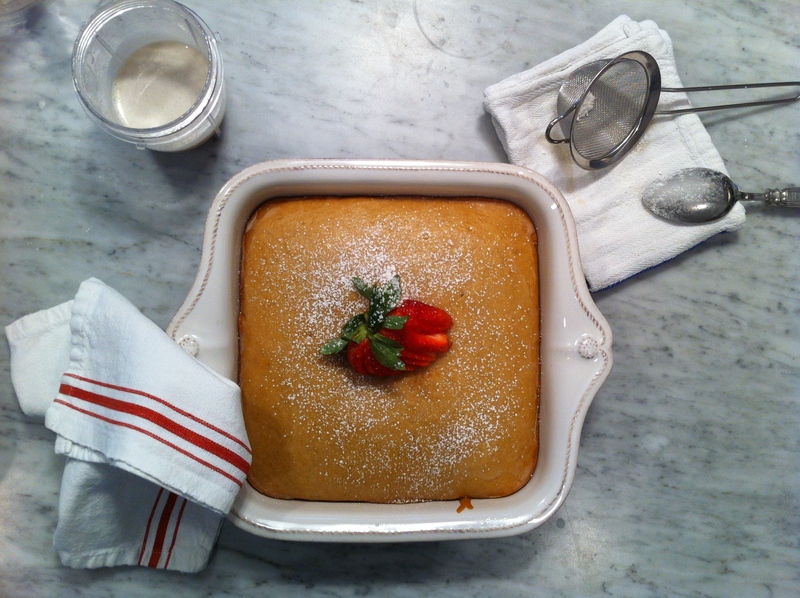 To serve, cut the cake into squares and plate with a couple of slices of fresh strawberries. Drizzle with the syrup and add a dollop of whipped cream. Lovely! Can’t wait to try! We don’t often reblog, but this recipe was just too good not to spread the word about. 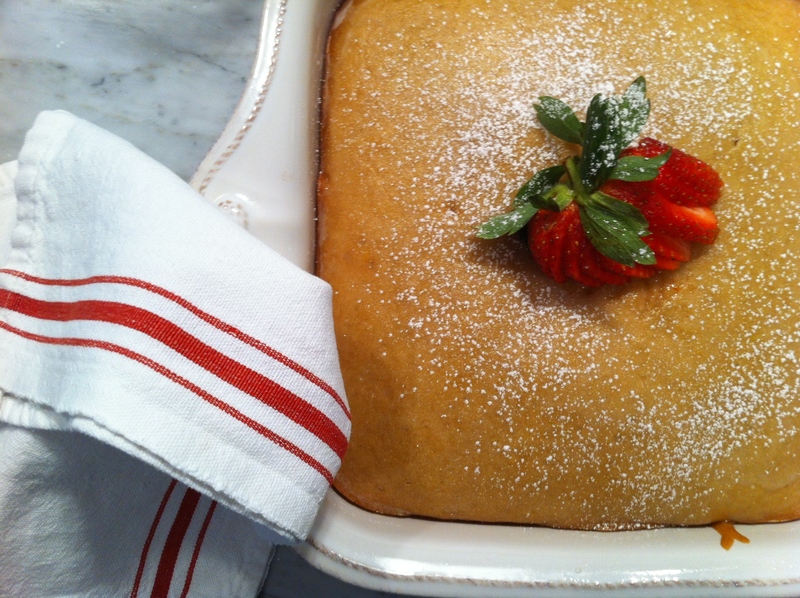 A Lemon Olive Oil Cake with simple prep and ingredients, it could be perfect for some weekend gatherings this spring. The recipe suggests strawberries and cream, but I’m sure you could feature any of your favorite berries on top. I’m wondering if mango would be too much? Take a look and let me know what you would add! Thanks for such a great light cake recipe, Juiceboks! Thanks for sharing! And yes, any seasonal fruit would be great here! This is a topic which is close to my heart..
. Cheers! Exactly where are your contact details though? I’m selling my brand new juicer on the cheap. Welcome to my website! This is a place where I hope you find nourishing inspiration for movement, cooking and all things natural health. Follow along as I take you through my life as a natural foods chef, fitness professional, creator and business owner making leads in the contemporary body-mind fitness community and being a full-time mom. Life can be interesting, adventurous and exhausting but it's how you decide to live each day that ultimately makes you who you are. Click here to read more. Click here to shop. Come take my classes! DEFINE your balance with Houston's most transforming and reenergizing workouts. Compliment your movement with my natural foods culinary classes. See Events page for more info on upcoming classes! Click here to sign up for a class. Click Here to watch the newest Mirror / Mirror episode, Reinventing Yourself. Click Here to watch the newest Mirror / Mirror episode with Erin making the most of "super" foods! Click Here to watch Erin make healthy snacks on Snack Attack Episode of Mirror Mirror.